It's one of the first things we learn as kids: how to share. But this practice usually fades as we become adults. Our houses become filled with our own “stuff.” Garages, attics, basements, and closets transform into cluttered warehouses. When we need something, whether it’s a chainsaw or a roasting rack, our first thought is to go out and buy it. But why get it new when our neighbor down the street has one we can borrow? What do you own that others in your neighborhood might love to borrow? A stand mixer? A circular saw? Do you have a skill you’re willing to share? From hemming pants to cooking the best samosas in town, we bet you know how to do something that others don’t! These days, people are getting together to swap everything from books, clothes, and toys to seeds, crops, and even soups. Community swaps are a fun and cooperative way to share and trade goods. New Dream has videos and step-by-steps to help you get started! Do you live in a big gardening or DIY community, or one with lots of young kids? 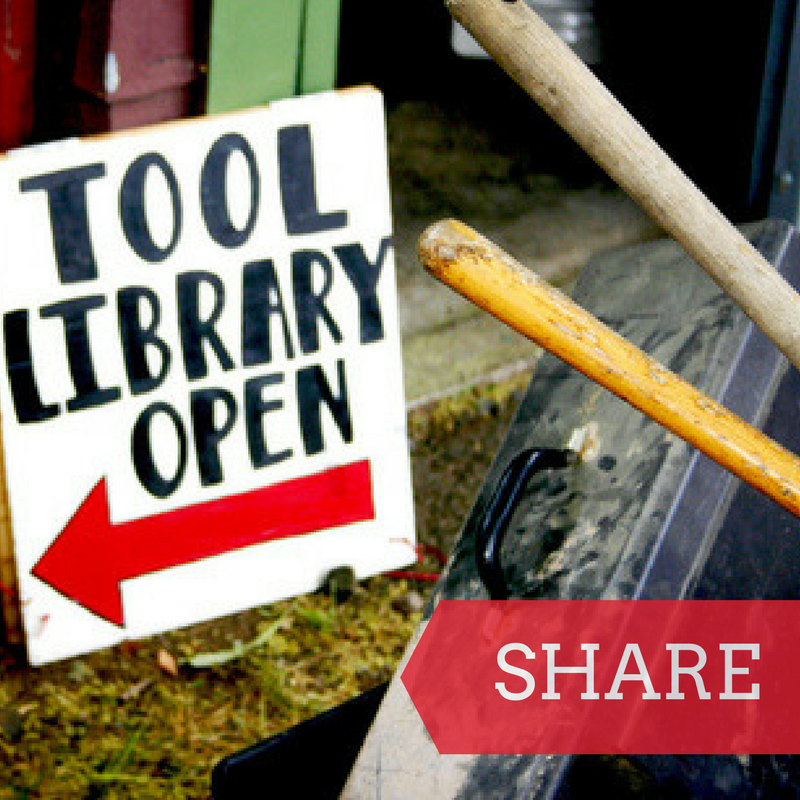 Consider starting a tool, seed, or toy lending library. Like to bike? Start a community bike sharing program, or a project to fix up used bikes for residents in need. Wish you had access to a larger variety of kitchen gadgets? Start a kitchen library! The possibilities are endless. We encourage you to complete the "Share With Others" challenge within an eight-week period; however, there may be different timing that works best for you, and that is OK! *Please type in your choice(s) in the box below. Once you sign up, we'll send you a short email with everything you need to take action, including our very helpful Toolkit!